It took a little longer than expected - doesn't everything?? 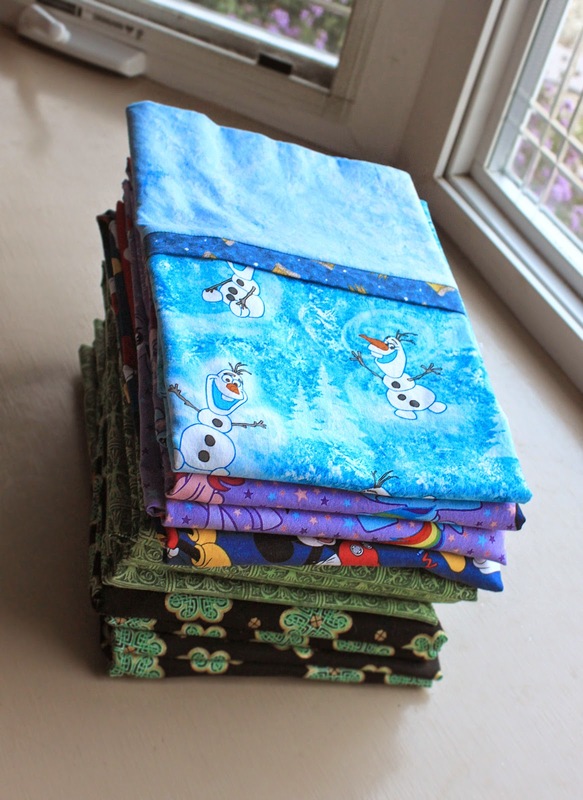 - but all 12 pillowcases are finished, French seams and all. 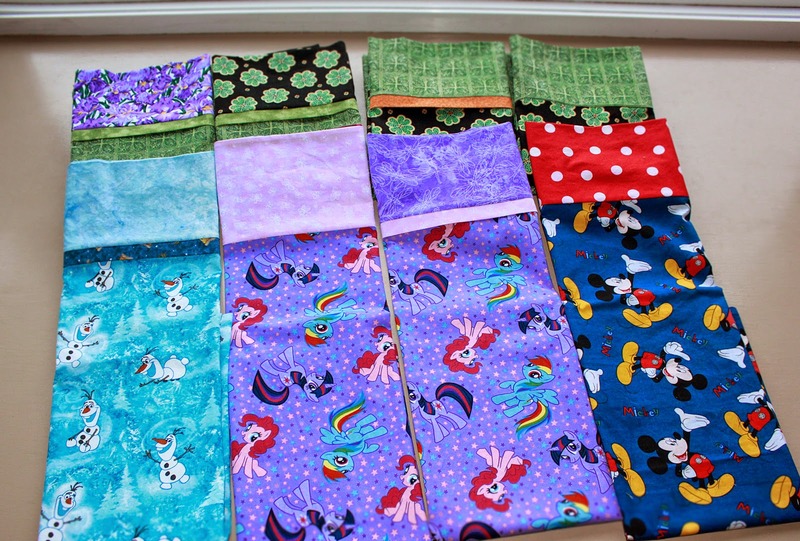 Leanne "helped" me cut the fabric almost a month ago and I rashly predicted I'd have them completed in a day or two. Yeah, right. I've always worked best to a deadline, and since we're leaving Wednesday for Yarn Fest 2015* (and visiting Addy!! Soooo nice of Interweave to schedule the festival in Addy's hometown), it was time to git 'er done. 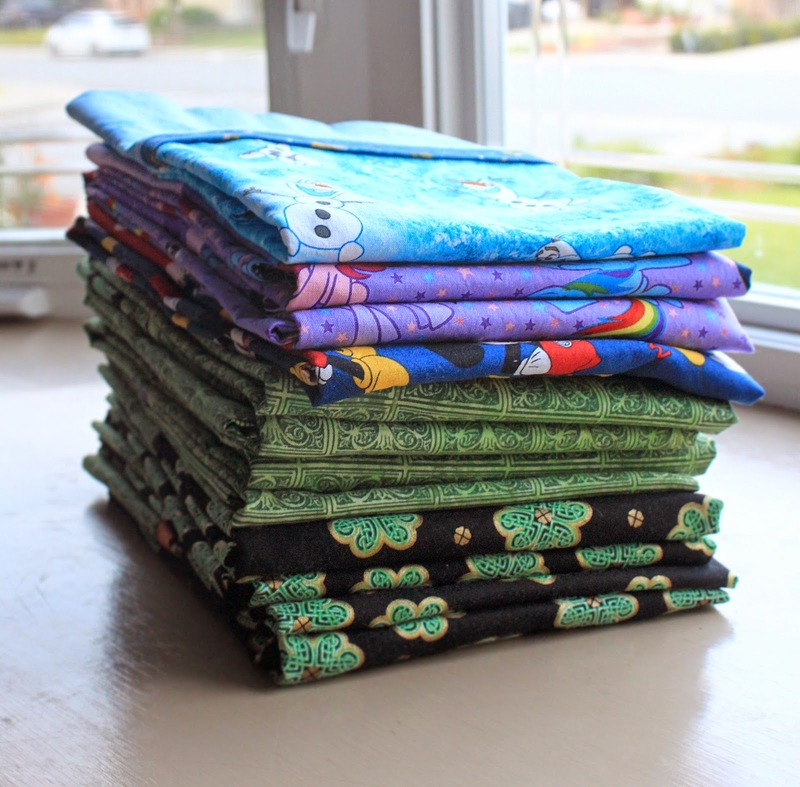 Last night, I made pillowcase burritos**, then turned and trimmed the edges. 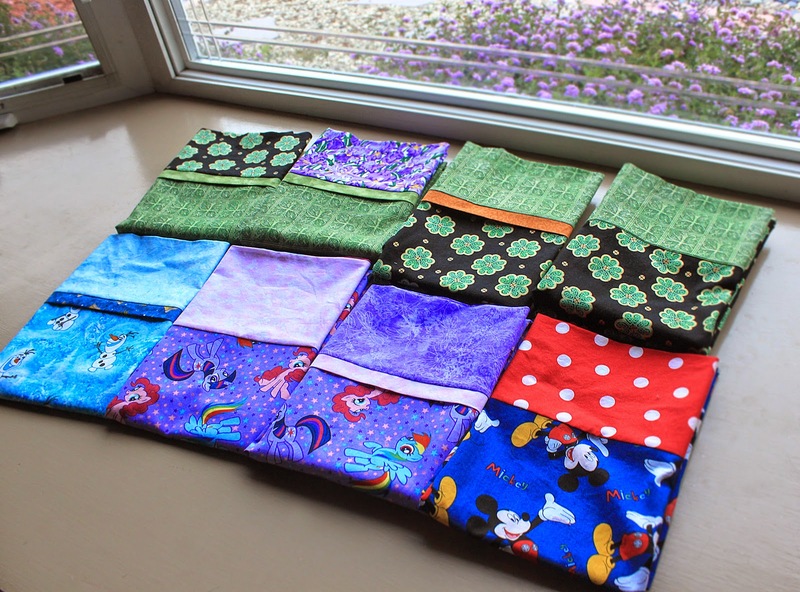 Today, I cranked up some tunes, heated up the iron, and production-lined 12 sets of French seams. The green Celtic pillowcases are for the adults - two for each family (I'm sure the gents will be thrilled, but I hope the ladies like them.) Olaf goes to Addy, the purple trimmed My Little Pony is for Leia, and the other two - pink Pony and Mickey - will live at Leanne's house. And now it's time to go do laundry so I can pack . . . .
** I used the "Roll It Up" pattern found here - it's super easy. A direct link to the pdf version of the pattern is here. I am soooooo jealous about your classes; have a blast!